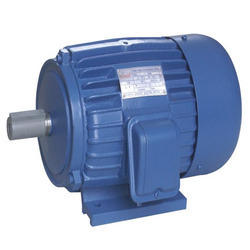 Pioneers in the industry, we offer electric motors single phase, three phase electric motors and water pumps from India. We have gained expertise in offering a quality approved range of Electric Motors Single Phase. Offered range of product is tested for its quality under the supervision of highly experienced and skilled quality experts before introducing in the market. Our products are highly acclaimed amongst the clients for their hassle free performance and longer functional life. These products are widely known for their superior quality. Moreover, our clients can avail these products at reasonable market price from us. 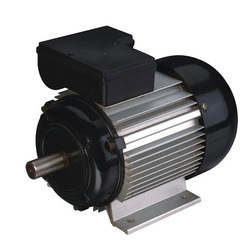 We are an acclaimed name to offer a wide range of quality grade Three Phase Electric Motors in the market. Offered product is manufactured using optimum quality raw materials and highly advanced technology to meet the international quality standards. These products are available with us in various specifications to meet the requirements of various clients. Being a customer oriented organization we always try to timely deliver high quality products to our valued clients at leading market price. We are consistently delivering a quality grade range of Water Pumps to our prestigious customers. These pumps are made from high quality raw material using upgraded technology as per the set industry norms. Offered ranges of pumps are highly demanded by our valuable clients due to the excellent handling properties, precise designed and best quality. 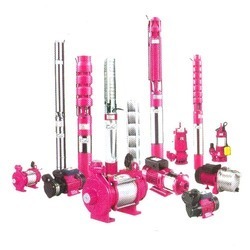 These pumps are used by various industries to achieve the desired results. We are providing these pumps at leading market price. We always try to deliver timely and best quality products to our clients.